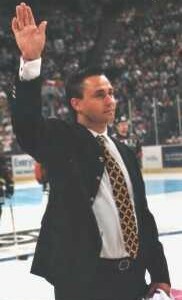 Born in Winnipeg, Canada, on the 11th of June 1970, Brad Rubachuk began his pro-career with the Lethbridge Hurricanes of the Canadian Western Hockey League (WHL). 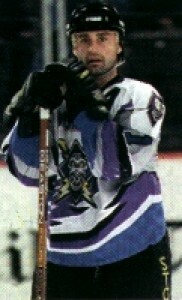 Three seasons later, Ruby as he was affectionally known, then joined the American Hockey Leagues (AHL) Rochester Americans for a further three seasons, before splitting the next season between the now defunct International Hockey Leagues (IHL) Fort Wayne Comets, and the AHL’s Binghamton Rangers. 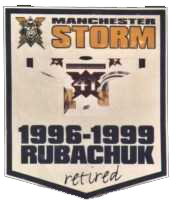 The 1995/96 season saw Rubachuk make the leap across the pond to Europe, where he joined the British First Division (BD1), Swindon Wildcats for a season, before be moved to the Manchester Storm for the inaugural Ice hockey Super League (ISL) season. 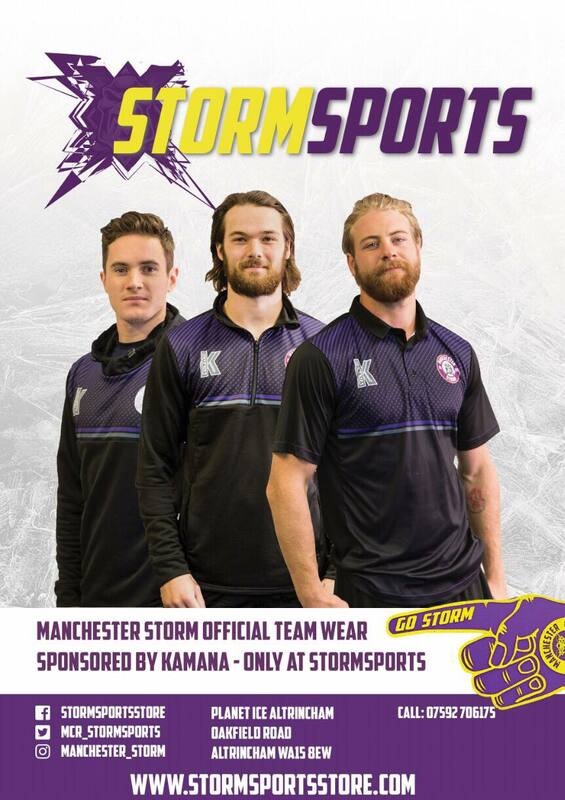 In little under 3 full seasons with the Storm, Rubachuk, played 196 games and amassed 72 goals and 88 assists for a total of 173 points. This added to the small matter of 508 penalty minutes, shows the determination and quality of Ruby. 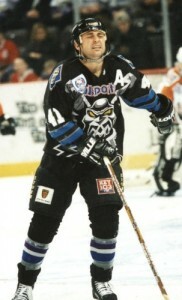 However, this impressive career was tragically cut short when Rubachuk broke his neck whilst playing against the Bracknell Bees in a collison with the Bees’ Paxton Schulte. 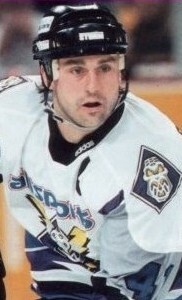 Luckily, the doctors assured Rubachuk that he would be able lead a normal life, go golfing and skating with his family… but his career as an Ice Hockey superstar had come to an end at the age of just 29-years-old. For more details about the career of Rubachuk, please visit the Elite Prospects website by clicking HERE.